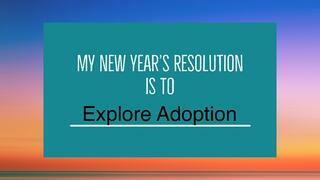 For those of you who have wrestled with your plans to expand your family, we hope that you will decide to add "Explore Adoption" to your list. We understand that this is a big decision. We also know adoption creates a very special kind of family. Take a deep breath and know this: Gladney is here for you every step of the way. When you work with us, you become family. We've found that walking closely with our families is the best way to serve our mission. We learn about the lives, circumstances and particular hopes of everyone involved. Then, together, we make a plan. Let's start by exploring the different types of adoption programs Gladney offers. by clicking on the button below -- then put a big check by "Explore Adoption" on your list. You're on your way to creating a bright future for your family through adoption.